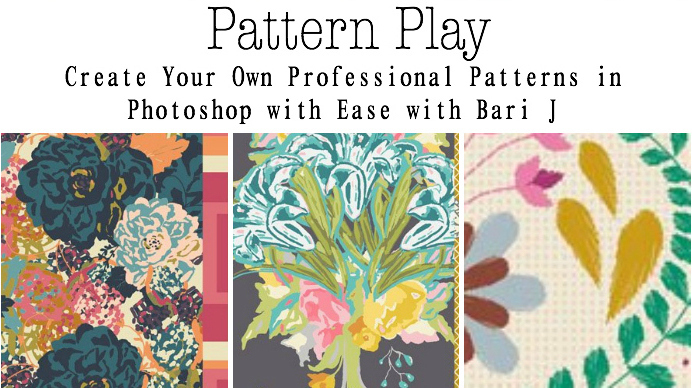 Learn how to easily create patterns in Photoshop using a variety of methods from an industry professional. 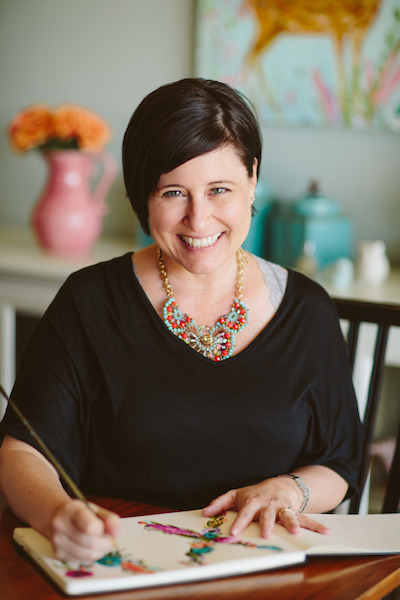 Bari J Ackerman will teach different ways to create repeats, how to create artwork from within the program as well as from scanned artwork and you’ll learn the essential task for screen printed fabrics of reducing and indexing your colors. 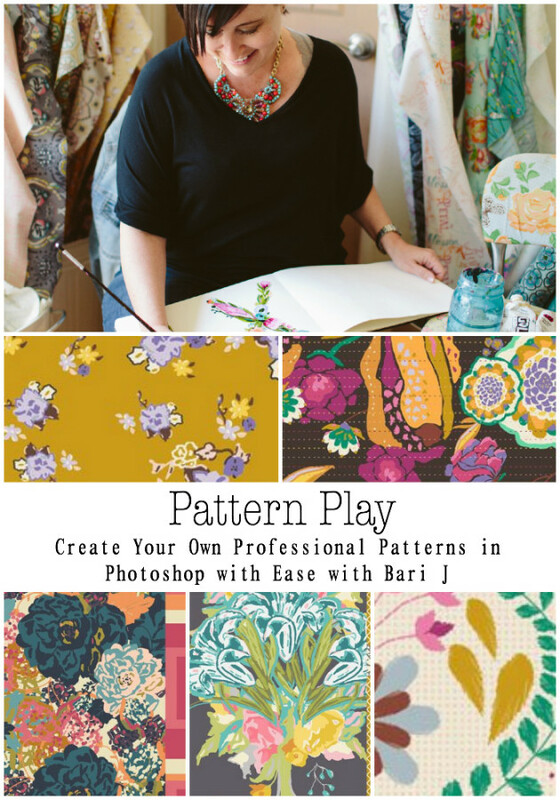 In five lessons, you’ll have what you need to know so that, with practice, you can be successful at designing patterns. This is great for traditional artists and anybody wanting to design art for products will greatly benefit as well. * Learn how to scan a design and clean it up (remove flaws, adjust color, remove background) to ready for pattern repeat. * Using pantone colors and choosing palettes, then learn how to create a simple motif using brush and pen tools. Use the same tools to add texture. 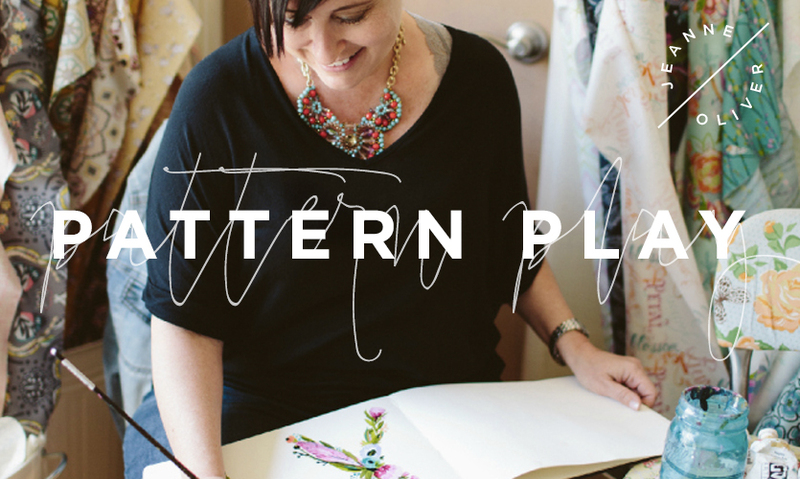 * Put a motif into a half drop pattern repeat and create overlapping pattern repeats. * Additional types of pattern repeats such as for dots and zig zags and large complicated repeats. * How to reduce and index color for non-digital applications such as screen printed fabric. Includes simple three/four color motifs and the more complicated process of reducing color from hand done and scanned paintings. A graphics tablet such as a Wacom. Any of the versions are fine. I’d start with the Bamboo as it’s not too expensive. If you want to spend a bit more, go for the Intuos. I have a Cintiq but it’s not necessary.